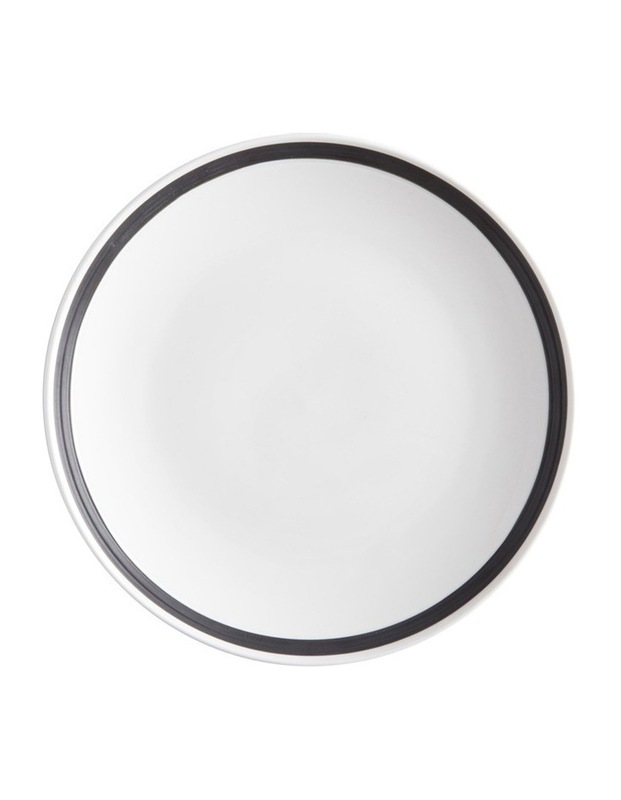 Charlton Side Plate 18cm. Discover the art of elegance with Maxwell & Williams Charlton dinnerware. Charlton has a smart sophistication, with hand-painted matte charcoal rims. This versatile porcelain collection has everything you need to build a complete setting and also looks great mixed and matched with Maxwell & Williams White Basics.